Kelly Grossman Architects has completed significant projects in all major markets in the Southern United States, including Texas, Alabama, Arizona, Colorado, Florida, Louisiana, New Mexico, North Carolina, Oklahoma, South Carolina, Tennessee and Virginia. The firm specializes in guiding complex projects from initial concept formulation through construction to final completion of the development. Over 200,000 apartment units, across over 625 projects have been designed and constructed within this broadly based geographic area, in addition to a variety of other commercial projects. Our architects are registered through NCARB and are able to acquire a license in any of the 50 states. Our staff also includes an architect licensed in Mexico. Our staff is committed to respond quickly to our clients' needs in order to produce the best possible design solutions, while remaining committed to the belief that each of our clients are essential to our success. Our foremost goal is the satisfaction of our clients and project owners in creating the highest quality and most competitive properties available. 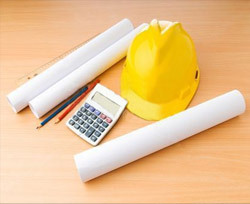 The ability to provide unique solutions on time and within budget is a result of the firm's extensive first hand experience with construction methods and apartment management as well as expertise in anticipating current construction costs. We consistently strive to meet projected schedules in accordance with our client's direction to see the project through to a successful completion. 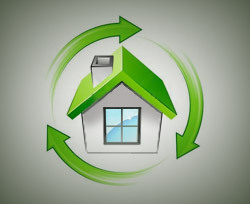 The City of Austin's Green Building Program was the country's first comprehensive program designed to encourage the use of sustainable building techniques in residential, multi-family, commercial and municipal construction. Kelly Grossman Architects has been a member of the Green Building Program since 2003 and all of our projects are uniquely designed as green - incorporating sustainability, livability, and constructability throughout the entire process. Our staff has experience in generating high-quality, sustainable design and construction in order to provide greater efficiency, comfort and durability to benefit occupants and clients. We have completed over 20 projects that have received a Green Building rating from Austin Energy.